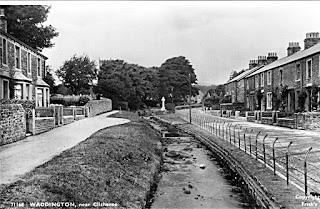 Memorials: Turn off the A58 and go to WADDINGTON! 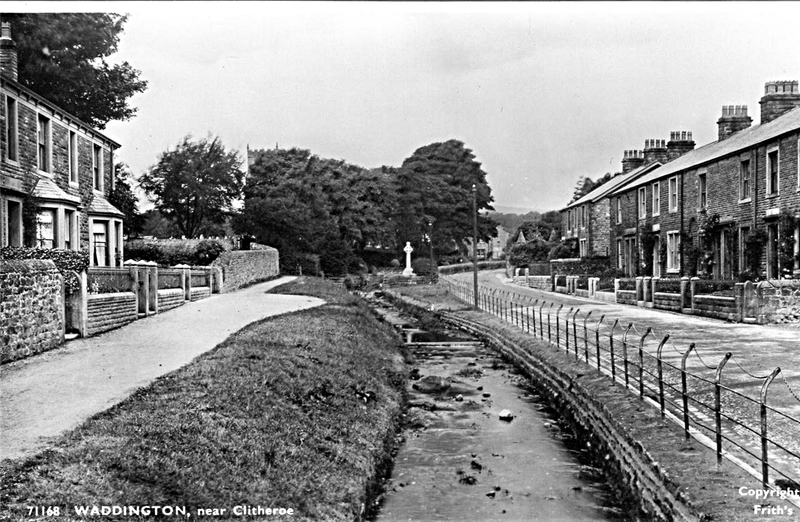 Waddington is indeed a pretty village and deserves to be visited just for that reason. However I knew that there was a memorial there. These are the photos and the inscriptions. Waddington Hall has an interesting history. This is not to be confused with the village of Waddington in Lincolnshire which I am sure is just as lovely. Its veracity cannot be confirmed - but it does lend a bit of credence to the inscription over the gateway to Waddington hall. I have left the links in and left the page exactly as the family history page - The copy-right is not mine! If you follow the links the inscription is mentioned. little in the way of landscaping and of course no traffic. A closer view will reveal the church. This is the reference at the National inventory of War Memorials.